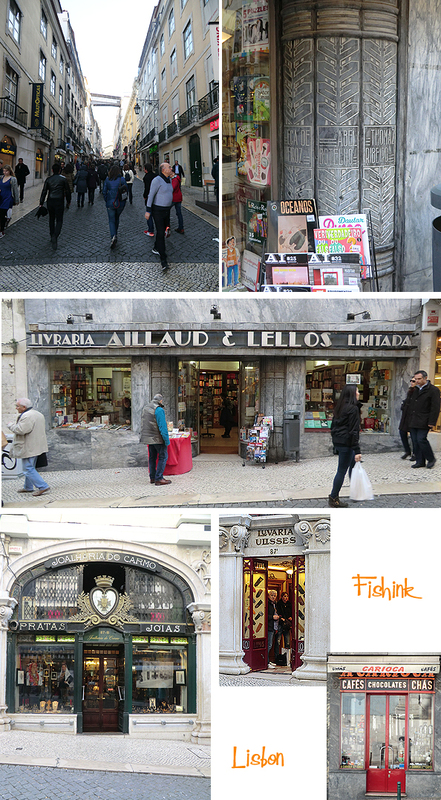 Walking through Lisbon’s busy streets, you have to be both a confident driver and tourist. You never quite know when the road you’re on will narrow and nearly disappear, or when a tram may suddenly come hurtling towards you from around a concealed corner. It makes life more interesting… if you see it that way ! lol. I liked the mock tile look on this Tuk-Tuk and the elegant, old shop fronts, in parts of central Lisbon. This tiny little glove shop (above) Luvaria Ulisses was founded in 1925 by Joaquim Rodrigues Simões, an entrepreneur with a profound understanding of the habits of the people of Lisbon. As a Lisbon city council executive between 1919 and 1923, he requested authorization from the Government to construct shops in the neglected area of the Carmo Wall. He kept the space corresponding to no. 87-A, to himself as he immediately envisioned an establishment there. A more modern approach to city life can be found in the highly decorated bottle banks that are scattered around the streets. 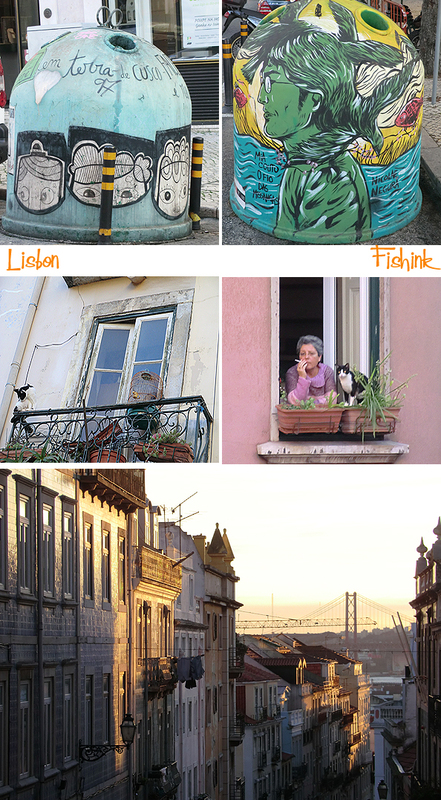 Apparently this was a clever initiative by the Lisbon Municipal Council and you can see a few more here. 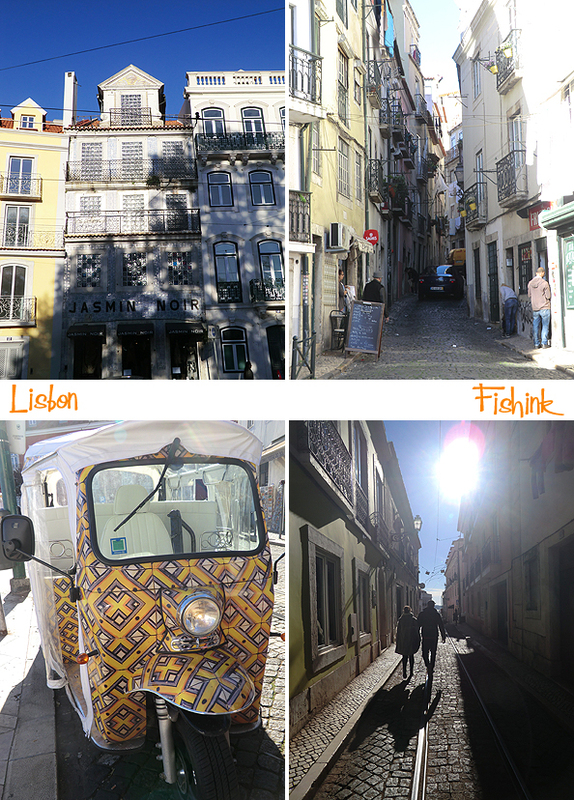 Some really interesting streets and places to discover around the district of Principe Real, which is essentially an extension of Bairro Alto. Great shops and bars for the hip and trendy and smaller tucked away restaurants and galleries that you sometimes nearly overlook or have to ring a buzzer to gain admission. Some only come to life when the daylight starts to fade. 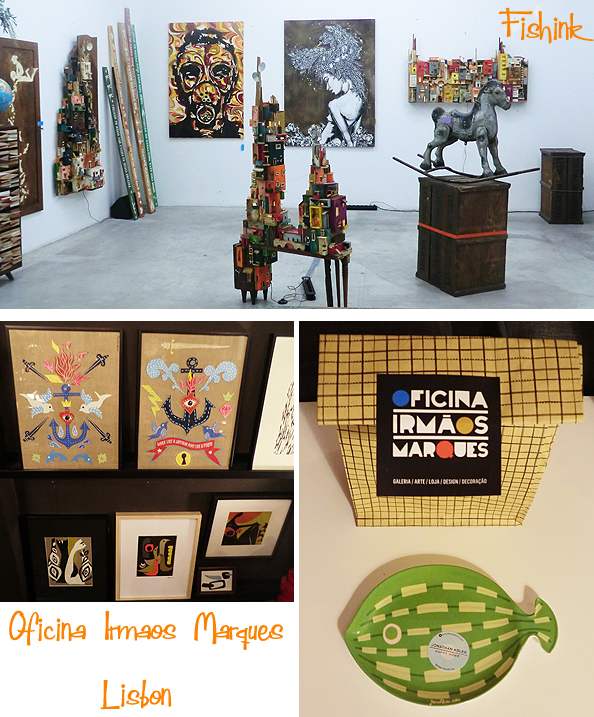 One such gallery/ shop was Oficina Irmaos Marques. 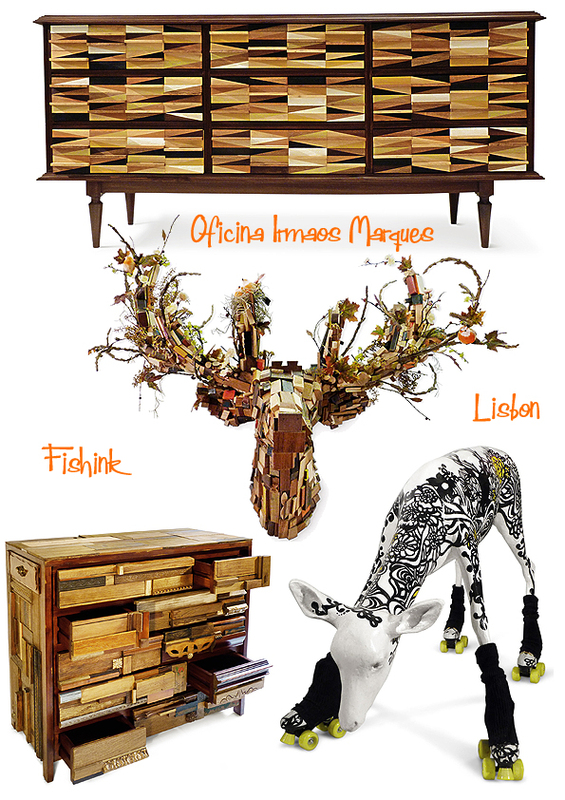 It is the brainchild of Gezo Marques, a Brazilian creative director, who is adept at the art of recycling and re-creating furniture and ornament for a contemporary clientele. 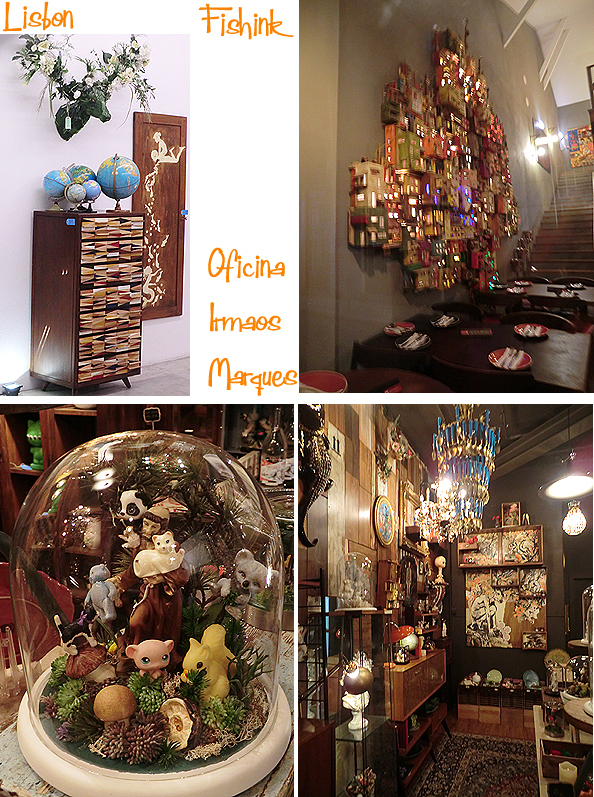 I sensed an air of the absurd, rubbing shoulders with childhood-kitsch and clever up-cycling. 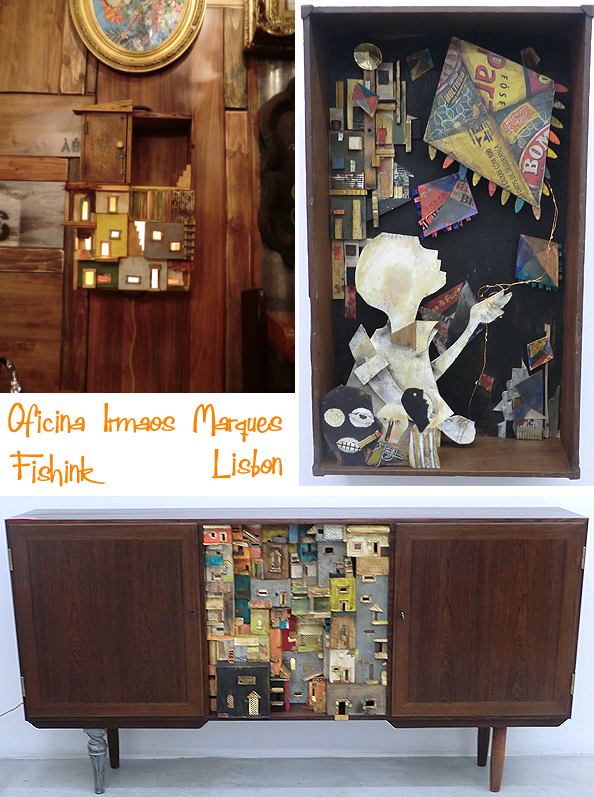 I loved his little house mountains, a creative reference to the ghettos from his Brazilian past. 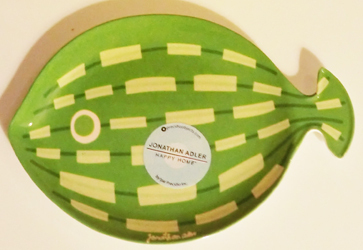 I noticed this lovely fish by Jonathan Adler, (mentioned on the blog before). I couldn’t resist buying it for the bottle of cooking oil to stand on in my kitchen. Another of Gezo’s creations was commissioned by a local mexican restaurant (below top right) and is a huge twinkley addition to their wall. Well worth tracking this fascinating store down if you’re in the area. If you’re very lucky (like we were) the friendly staff may also offer you a coffee or mint tea and a friendly chat… how kind. This vacation has been like sensory overload, but wow, what a delight. 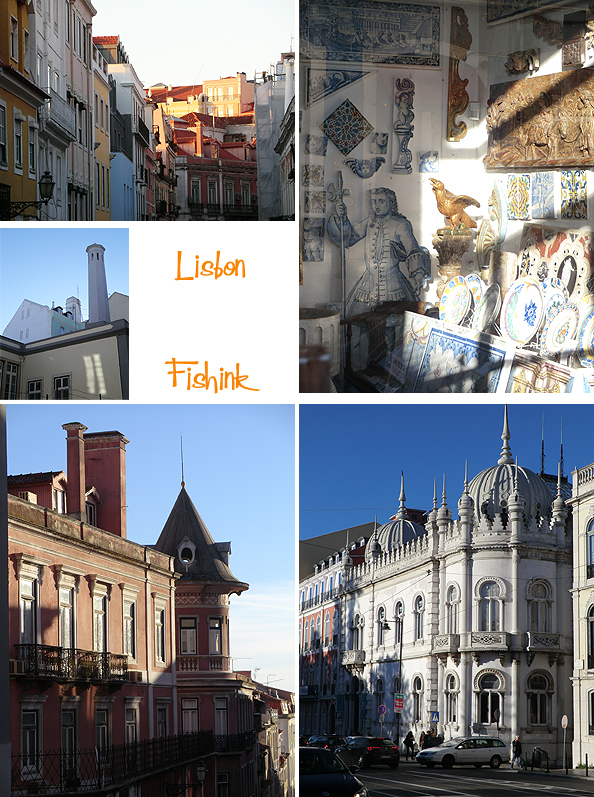 Beautiful old buildings, love those charming little corners, storefronts, and narrow passageways. 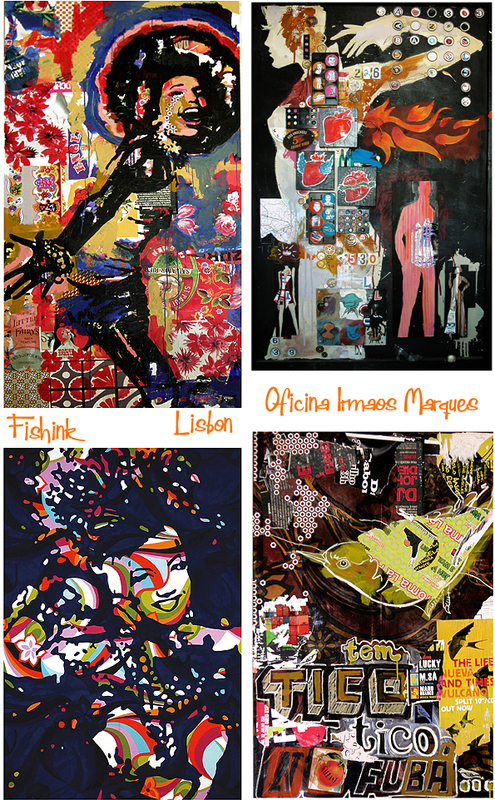 There seems to be much creativity, color and design in their everyday life. Your ‘series’ has been wonderful, thanks Craig. Thanks Joy. You notice as much as I do. I’m sure you would love the place and enjoy the journey there also. Thanks for your comments, glad you are liking the hand-held ride : ) one last chapter to go. Such a compliment from a famous travel writer that I’ll treasure : ) Thanks me dear but don’t worry I’m not after your job lol Catch up soon ?